"Huge" demand for Apple’s iPhone 6 could lead to a month wait after strong online sales caused the websites of Telstra, Vodafone, Optus and Apple to crash. 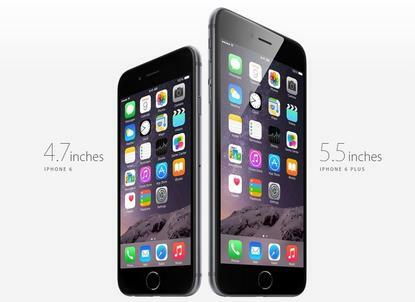 Pre-orders for Apple’s iPhone 6 and 6 Plus kicked off at 5pm on Friday. Vodafone’s website was down intermittently for an hour, while Optus’ was down for two, spokespeople confirmed. “We had 30,000 calls per minute to our eStore,” a Vodafone spokesperson told Good Gear Guide. Telcos are already holding stock for fear of selling out before Apple’s iPhones arrive in stores on 19 September. Telstra and Virgin list the larger Apple iPhone 6 Plus as out of stock on their websites, while Vodafone and Optus are not sparing stock of the smartphone for pre-orders. It is believed Apple’s iPhone 6 Plus will be in short supply when made available. Stock for select variants of Apple’s 4.7in iPhone 6 is also strained. The most popular model so far for Vodafone is the 64GB variant of Apple’s iPhone 6 in space grey. “Some models are still available for immediate shipment this Friday, for others there is a two to four week wait,” the spokesperson added. An Optus spokesperson said interest in the iPhone 6 was greater than that of the iPhone 5S and 5C, likening it to the popularity of the at-the-time redesigned iPhone 5.